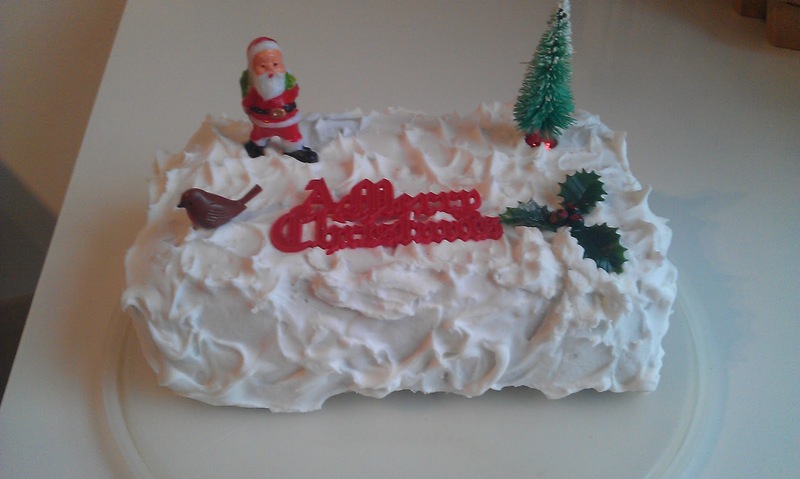 I like Christmas cake. I do. But you can have too much of a good thing. And when my mother presented me with a whole cake on boxing day (complete with 1970s decorations), I knew I would struggle to get through the whole thing. 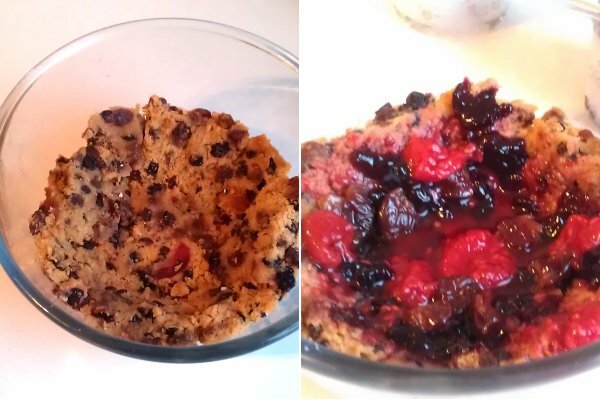 So here are three ideas for using up all that extra fruit cake. This is a simple one. Melt down some leftover Christmas chocolate with some butter, and stir in chopped Christmas cake, and whatever other stuff you have lying around. I threw in some chopped pistachios and hazlenuts, some "Festive Friend" chocolate biscuits, and chocolate covered cherries. Not forgetting my special ingredient - dried cherries soaked in brandy and sugar. I poured into a lined tin, and left in the fridge until set. 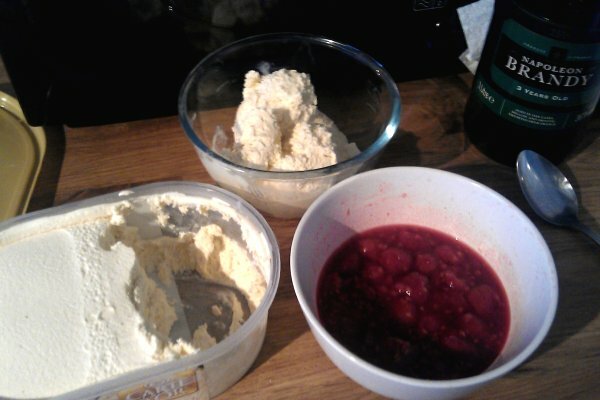 I started by soaking some frozen raspberries in brandy (my old friend, Tesco Napoleon Brandy, £10 for 1 litre) and sugar. I stirred the raspberry mixture into some vanilla ice cream, and the returned it to the freezer to set until hard. 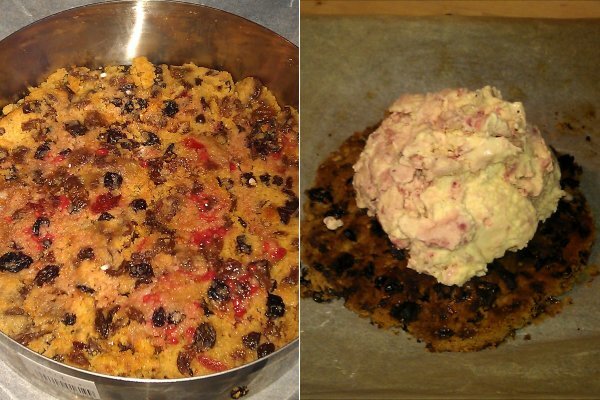 Meanwhile, I pressed some slices of cake into a ring, and soaked with some of the remaining alcoholic raspberry juice. I put it in the oven on a fairly high heat, until it became quite hard and biscuity. Once it was cooled, it was the perfect base for the baked alaska. 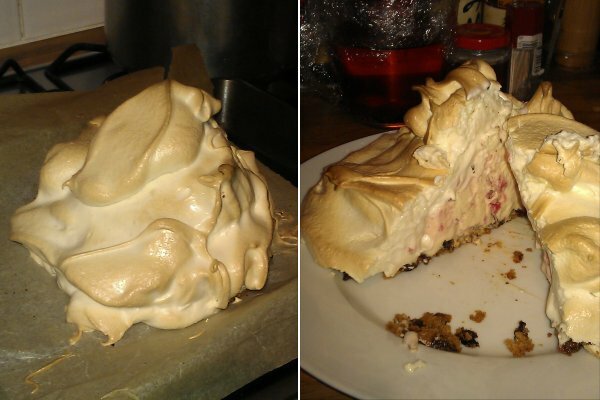 I put the ice cream - now laced with booze and raspberries - onto the base, and covered with meringue. Then put in the oven on a high heat until brown. 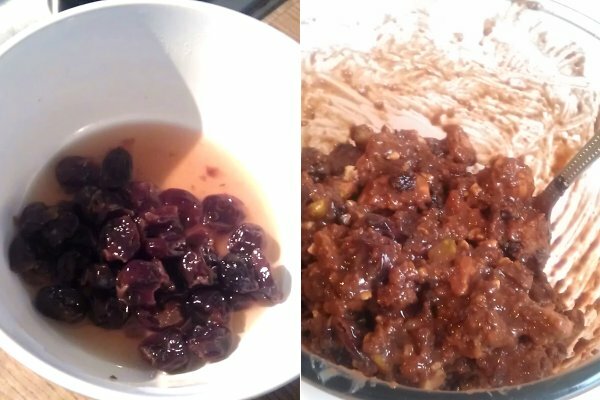 I lined a bowl with slices of Christmas cake, then poured over the remainer of the juice from the cherries and the raspberries, along with an extra glug of brandy. 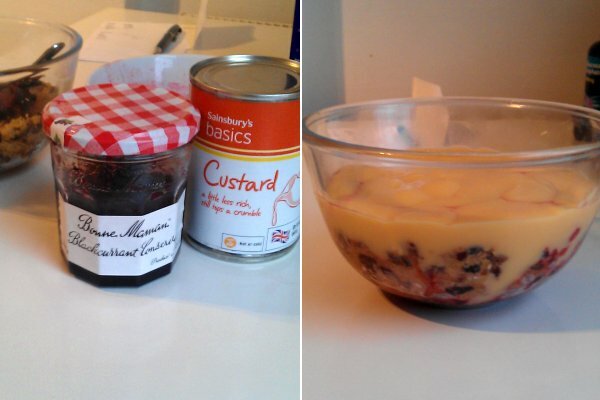 I added a few spoons of jam, and the rest of the fruit. I topped with custard and whipped cream. 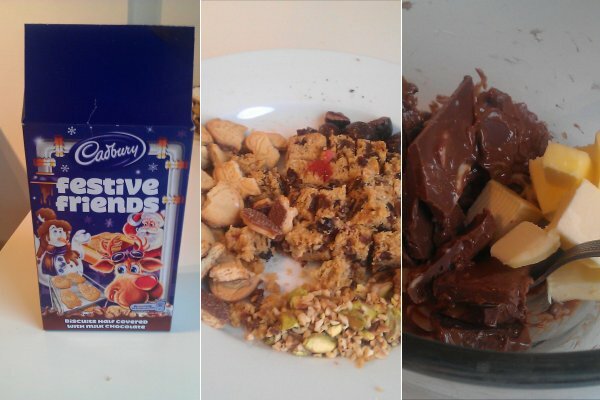 Finally I sprinkled it with some chopped hazlenuts and some grated chocolate. The chocolate fridge cake was the definite winner. A big lump of chocolate and butter with a hit of brandy was always going to be tough to beat. 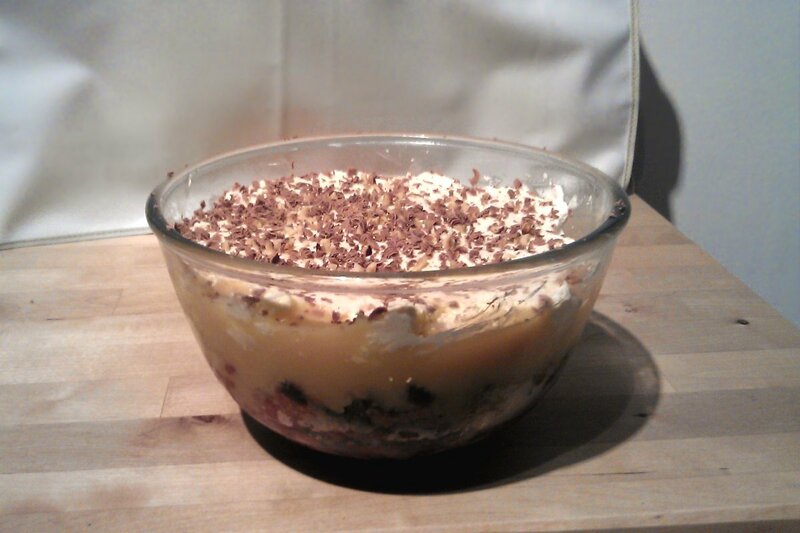 It also requires the least effort of the three desserts!